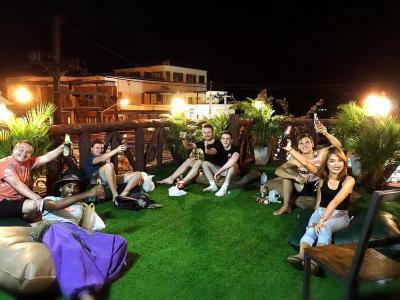 Lock in a great price for Stayover Hostel Aonang – rated 8.9 by recent guests! EVERYTHING. The staff was very helpful. 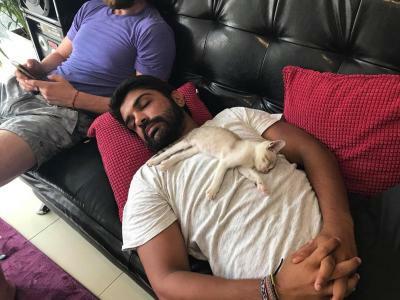 The place was very clean. They also provide mat for island hopping. Had free drinking water, tea, coffee, & bananas all day, staff Serena was incredible in going out of her way to help me with tours and transport, and other tourist info. The bed was really comfy, with curtains, and locker with a key to store valuables, and they provide a towel. They also sold street food nearby at night. The hostel was really cute and tidy. It's about a 15-20min walk from the beach, which is fine, but in the heat of summer would be miserable. The staff is nice, and you can rent bikes and set everything up easily. 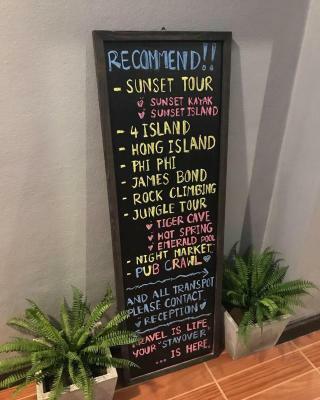 It was around the full moon party when we were there, so the hostel was pretty dead though-- be prepared for that if you stay here during that time. Location was good. About 20min walk from the beach but it’s easy. Staff was friendly and helpful. Rena, was excellent! 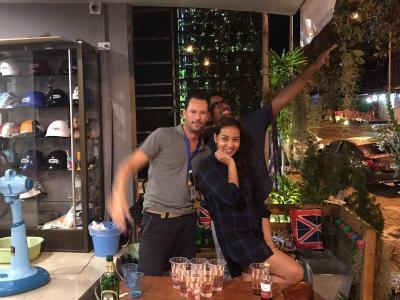 She was very cheerful and in a good mood. The AC works great and the fans as well. Beds and bathrooms where clean. The curtains give perfect individual privacy to each bed. Staffs are friendly and helpfull. The hostel provides exotic fruits and drinking water. Cheap ferry ticket to Phi Phi Island. I loved the privacy of the beds! You could actually close of curtains all the way around the bed which is so nice to do in a mix dorm. 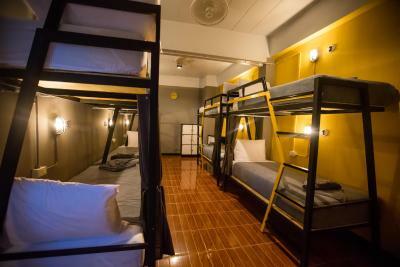 Each dorm had its own bathroom, beds were really comfortable! The hostel provided hot and cold water and plenty of activities! The staff are amazing! Really friendly, helpful staff, and comfy beds! It's a bit of a walk from the beach, but the property description is pretty clear about that and it's actually quite a nice walk in the evenings, lots of good street food around! The roof balcony/ outdoor lounge area is brilliant- it was empty most of the time I was there but a nice spot to sit and relax/sunbathe if you don't want to walk to the beach! The receptionist (sorry I didn't catch your name) was very good too, and helped me book my transfer to another island easily. 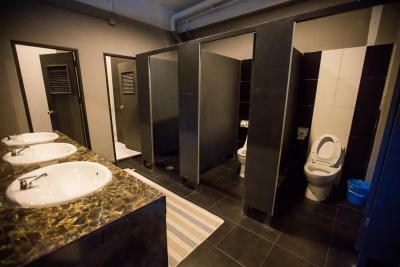 I really liked that the bathrooms were not communal style and instead within each room. Great size rooms and bathrooms that were also very clean. I'm glad there were curtains but I wish they went all the way around. 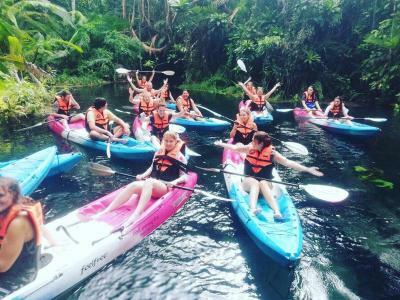 The staff was nice and helped book excursions and taxi rides to airport. BEAUTIFUL balcony. That's honestly the biggest seller. 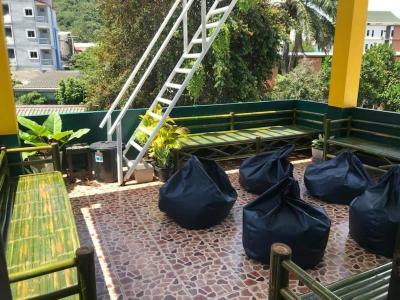 Stayover Hostel Aonang This rating is a reflection of how the property compares to the industry standard when it comes to price, facilities and services available. It's based on a self-evaluation by the property. Use this rating to help choose your stay! Providing free WiFi, Stayover Hostel Aonang offers accommodations in Ao Nang Beach, 2.5 miles from Ao Nang Krabi Boxing Stadium. This property is located a short distance from attractions such as Aonang Mosque. 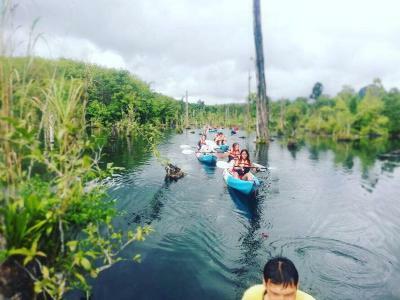 Local points of interest like Dragon Crest Mountain and Krua Thara Seafood Restaurant are reachable within 7 miles and 2.9 miles, respectively. 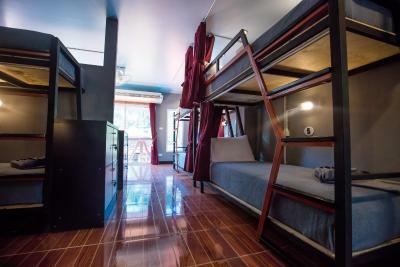 Rooms have air conditioning, and some rooms at the hostel have a terrace. 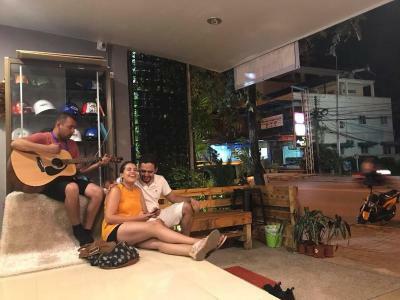 McDonald, Aonang is an 11-minute walk from Stayover Hostel Aonang, while Ao Phai Plong is 0.6 miles from the property. Krabi International Airport is 17 miles away. 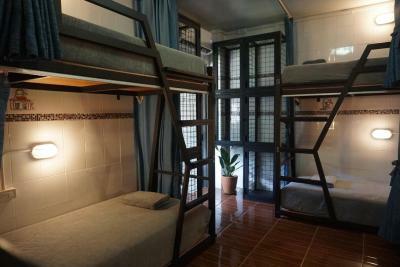 When would you like to stay at Stayover Hostel Aonang? 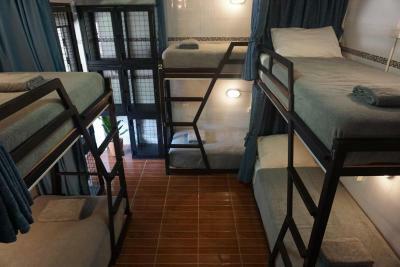 This bed in dormitory has a tile/marble floor, seating area and air conditioning. 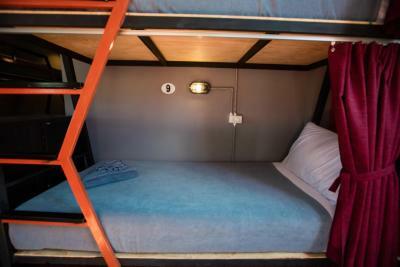 This bed in dormitory features a tile/marble floor, air conditioning and seating area. 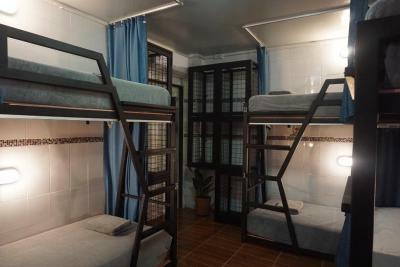 This bed in dormitory has a seating area, tile/marble floor and air conditioning. 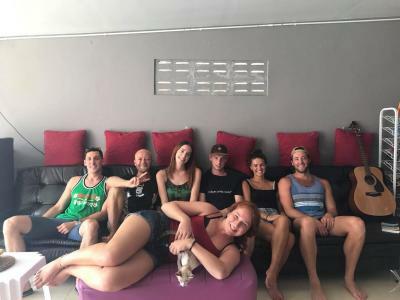 House Rules Stayover Hostel Aonang takes special requests – add in the next step! no water pipe in the toilet. The aircon couldn't go lower than 25 or it dripped. A staff member told me "all air cons can't go below 25" which is not true. Bathroom smelled a bit sewagey. 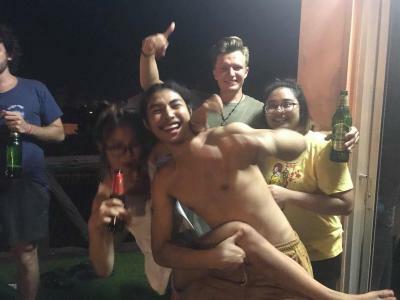 But everywhere in southern thailand did so that's not unique. The beach was a bit trashy and not the clearest. Located next to night market. I preferred that it wasn't very close to the beach because it was more local. Beds comfy. one receptionist was very enthusiastic and friendly. We need to walk a bit to get to the beach. But it is not a major problem to us. A good walk to the beach, air con is EXTREMELY cold at night, especially if you sleep in one of the beds nearby. I could barely sleep, because blankets aren't that thick. Someone cut a/c off during the night, which was great, but then another guest turned it back on. Someone's hair was left on the shower wall for a few days, but other than that everything was fine. They could put a small fridge so one can keep food leftovers, it’s helpful when one is staying a few days. The headline is not correct. Write with private toilet. But the toilet cannot use. Need to use shared toilet which is not on the same floor. Nothing at all. 10/10 would return again and again and again! 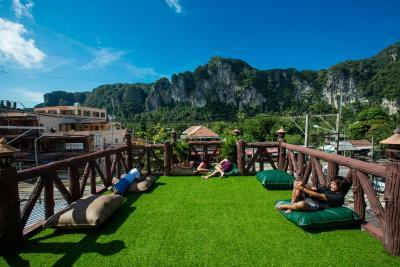 Everything about Stayover Hostel at Ao Nang is simply superb. From the lovely and helpful staff at the counter, ease of checkin and checkout, cleanliness is 10/10. 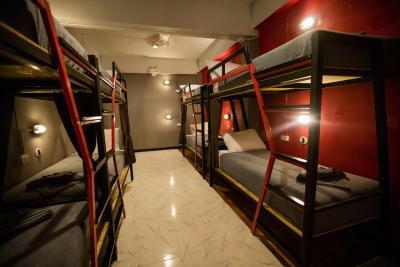 Definitely surpass the standards of any hostel images in your head. Was not expecting much to begin with, but all 7 of us was blown away almost immediately upon arrival and checking in. The stuff is very helpful and book for you everthing they can. Nice balcons on the third level for relaxing. The internet is ok. 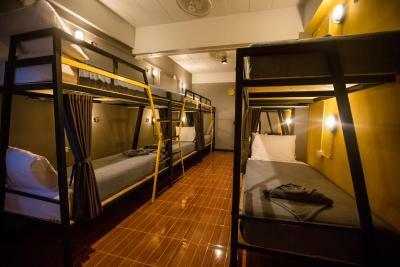 I did't like that i booked early and paid for 150baht for a transfo from the hostel to the airport and it was not done properly and nobody at the lobby in the morning who could i ask atleast for help.I have to find my way to find a transfort to the airport which cost me triple price. I called the companies which they usualy booked for transfo but they keep telling me nobody booked. That its clean, they have free coffee, banana and few snacks. I must say I was disappointed with one of the receptionists. The one who was in the morning, I could ask her anything and she didn't look interested at all in what I was saying, and was looking to her phone or computer all the time. It looked really bad for someone who works in a hostel. The other receptionist showed to be very nice and friendly, that I didn't understand what this one was doing there. Location is not the best. Its about 15min walk(fast) to Ao nang beach. But with heap restaurant options around the area. The room was clean, privacy curtains and clean bathroom. 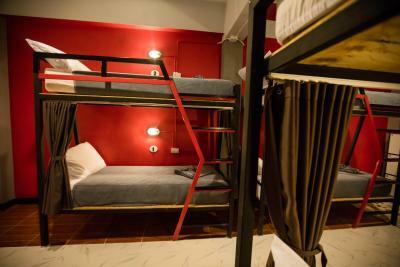 The bed area was great and one of the best hostels I've stayed in. Lockers also good.